The global financial system has proven increasingly unstable and crisis-prone since the early 1980s. The system has failed to serve either creditors or debtors well. This has been reinforced by the global financial crisis of 2008, where we have seen systemic weaknesses bring rich countries to the brink of bankruptcy and visit appalling suffering on the poorest citizens of poor countries. 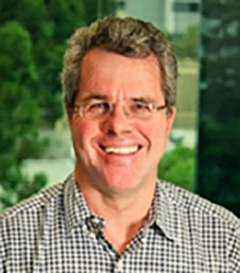 Yet the regulatory responses to this crisis have involved little thinking from outside the box in which the crisis was delivered to the world. payment, clearing and settlement activities. The authors offer detailed commentary on: the role of multilateral development banks, the IMF and the WTO in responding to crises; the role of the Basel Accords, the Financial Stability Forum and Board, and the responses of the European Commission, the US, and the G20 to the most recent crisis. The book concludes by exploring systemic game-changing reforms such as bank levies, financial activities taxes and financial transaction taxes, and a global sovereign bankruptcy regime; as well as measures to remove the currency mismatches from the balance sheets of developing countries. Apart from its great usefulness as a detailed introduction to the international financial system and its regulation, the book is enormously valuable for its clear identification of the areas of regulatory failure, and its analysis of new regulatory approaches that offer the potential for a genuinely more stable system. Chapter 1 History of the Global Financial System. Chapter 2 The Latin American and African Debt Crisis of 1982. Chapter 3 The Brady Plan of 1989 to 1994. Chapter 4 The Asian Financial and Economic Crisis of 1997. Chapter 5 The Post-Asian Crisis International Financial Architecture: 1998 to 2008. Chapter 6 The Argentine Implosion of 2001. Chapter 7 The Story of Debt Relief. Chapter 8 Causes of the GFC of 2008. Chapter 9 International Responses to GFC. 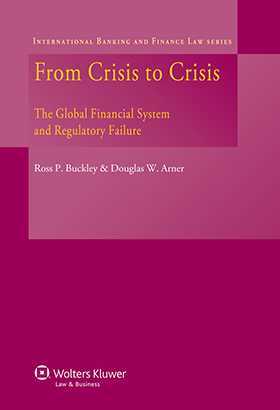 Chapter 10 Post-crisis International Financial Regulation. Chapter 11 The Dodd-Frank Act: The US Legislative Response. Chapter 12 Regulatory Measures for Developing Nations. Chapter 13 Global Measures: National Balance Sheet Structures. Chapter 14 Global Measures: Bank Levies and Financial Taxes. Chapter 15 Global Measures: A Sovereign Bankruptcy Regime. Chapter 16 Global Measures: IMF Reform. Chapter 17 The Road Ahead.